Since then, every October 4 throughout Italy the saint of the Stigmata is commemorated. Obviously in Assisi this anniversary has a special zest, celebrated with the gift of the oil used to fuel the votive lamp that burns in the crypt of St. Francis. The meaning of the offering rite is strongly felt among the citizens, because the oil burning in the lamp becomes the source of light and blessing that guides Christians in their journey of faith. 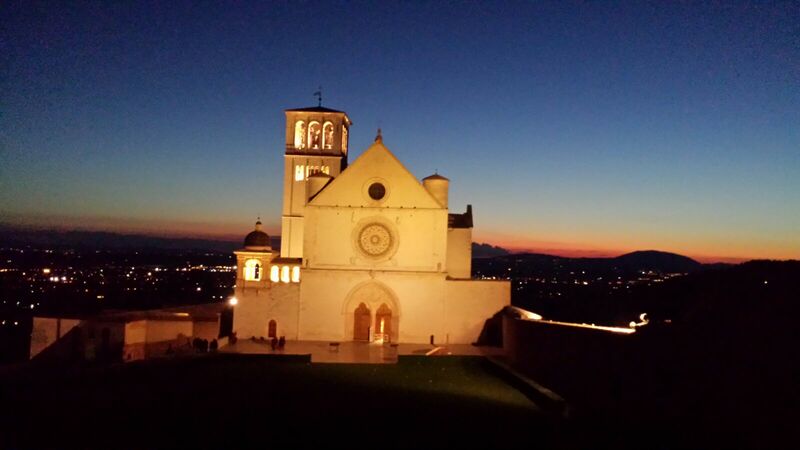 The centre of the celebration of St. Francis is the Basilica overlooking the hill on which Assisi stands. The celebrations last for several days and involve the whole city, through religious and civil initiatives, prizes, conferences and commemorations. The climax is the solemn Ceremony of Transit – in the Lower Basilica – which recounts St. Francis’s passage from life to death. Each inhabitant of Assisi conserves an olive branch distributed in the churchyard at the end of the ceremony. The tradition is that every year a different Region of Italy offers “its oil” to Saint Francis. The religious services are held in the Basilicas of St. Mary of the Angels and of St. Francis. Representative of the Italian Government and the highest regional, provincial and municipal authorities participate in the civil ceremonies. Related events include performances of dances and folk songs.